Summit Global Management is an over $500 million hedge fund that invests primarily in global hydrocommerce. Even though, ‘investing in water,’ seems a bit odd while speaking about hedge funds, however this strategy has a simple explanation. While most Americans (as well as citizens of other countries) take water for granted, it still remains an essential commodity, since it provides life for everything on our planet. John I. Dickerson, the manager of Summit Global, has more than 30 years of experience in the hydrocommerce and other water-related industries. The fund’s strategy can also be spotted easily by looking at the latest 13F filing of the fund, which reveals its equity portfolio as at the end of March. The portfolio has a value of around $61.4 million, decreasing from $100.4 million in the previous quarter, and has the largest portion invested in utility companies. However, the fund has cut its positions in almost all of its top 20 largest holdings during the January-March period. With this in mind, let’s take a closer look at the companies in which Summit Global holds its most valuable positions. 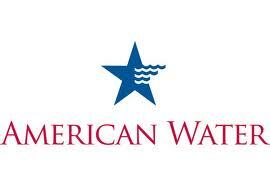 On the first place is American Water Works Company Inc (NYSE:AWK), of which the fund owns 148,900 shares, down by 78,200 shares over the quarter. The value of the stake amounts to $6,76 million. The company has recently increased its dividend by 11% to $0.31 per share. In addition, the company has acquired Yankeetown Water, an Indiana water utility company. Its stock added almost 10% so far in 2014 and trails a P/E of around 23, in line with the industry average. Israel Englander‘s Millennium Management is also bullish on American Water Works Company, holding 871,500 shares (up by 70% on the quarter) as at the end of 2013. Ashland Inc (NYSE:ASH), comes as second-largest holding in terms of value, with Mr. Dickerson’s fund owning 57,400 shares, worth $5.7 million, down by over 40% on the quarter. The stock of the $7.5 billion company edged down by 0.4% year-to-date. Ashland is a specialty chemical company, which operates in several segments, one of which is related to the water industry. However, earlier this year, Ashland entered into an agreement to sell its Ashland Water Technologies to a fund managed by Clayton, Dubilier & Rice, the value of the deal amounting to approximately $1.8 billion. The company reported earnings of $1.42 per share for the first quarter of its fiscal year, slightly beating the estimates. For the whole year, analysts expect Ashland to deliver EPS of $6.63, which is above the last year result of $6.1. In Tetra Tech, Inc. (NASDAQ:TTEK), Summit Global disclosed a $5.4 million stake, which contains around 181,000 shares. In Tetra Tech, the fund also reduced its position by 132,000 shares. A couple of months ago, Tetra Tech, an engineering company focused on infrastructure, energy and environment, got a contract worth $700 million to provide technical services to the U.S. Agency for International Development, under the terms of the Restoring the Environment through Prosperity, Livelihoods and Conserving Ecosystems program. The stock of the $1.9 billion company gained over 11% during the past 52 weeks. Richard S. Pzena‘s Pzena Investment Management is another shareholder of Tetra Tech, Inc. (NASDAQ:TTEK), raising its stake by almost 150% to 1.47 million shares as at the end of 2013. In two other top holdings, California Water Service Group (NYSE:CWT) and SJW Corp. (NYSE:SJW), Summit Global reduced its stakes by 131,700 and 82,600 shares respectively. The fund currently owns 220,100 shares, worth $5.3 million of California Water Service. The group operates several water services companies in California, New Mexico, Washington, Hawaii and other states. At the end of 2013, Jim Simons‘ Renaissance Technologies held 125,400 shares of California Water Service Group (NYSE:CWT) , raising its stake by a threefold during the fourth quarter. The fund also revealed owning 139,900 shares, valued at over $4.1 million of the SJW Corp. (NYSE:SJW). The holding company owns several public utility subsidiaries engaged in water supply and irrigation systems. The stock of SJW trails a P/E of almost 26, which is slightly above the average in the water utilities industry.